Rolling Barrel Swivels with a matt black non reflective coating. Rolling barrel swivels are the carp fisherman's swivel style of choice. The rolling barrel helps prevent line tangles and let the end tackle move freely. Size 8 Rolling Barrel Swivels are an essential piece of terminal tackle and no carp fishermen should be without them in their tackle box. 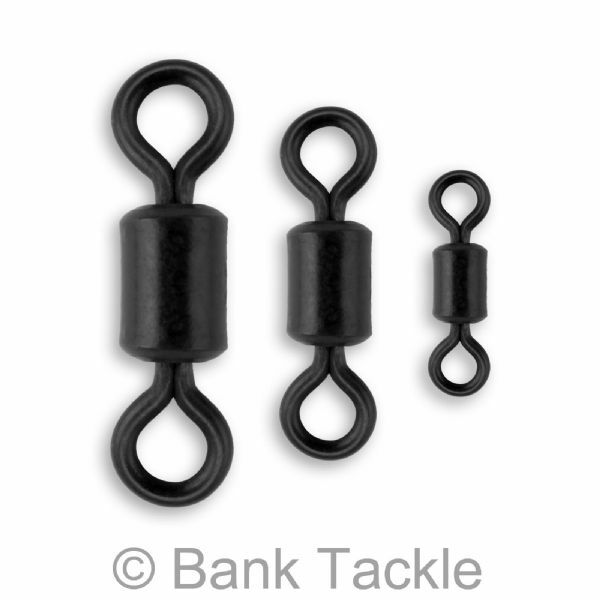 Our size 8 swivels are genuine UK size 8 and fit all standard sized Lead Clips on the market. Size 11 Micro Swivels are growing increasingly popular with carp fishermen as rigs become finer in the hope of catching wary, pressured carp. 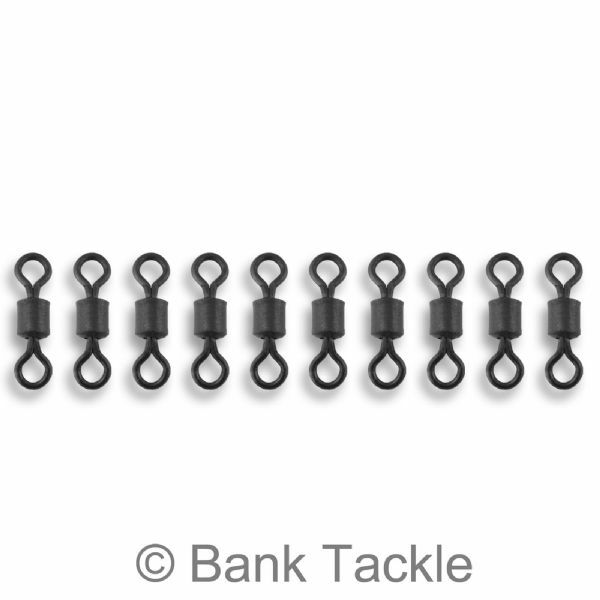 Because of their size they can be used in all sorts of other variations of carp rigs. Size 20 Mini Micro Swivels are the smallest in our range as because of their small flexible design they are perfect for mounting hook baits when using rigs such as the "D Rig" for a natural presentation.